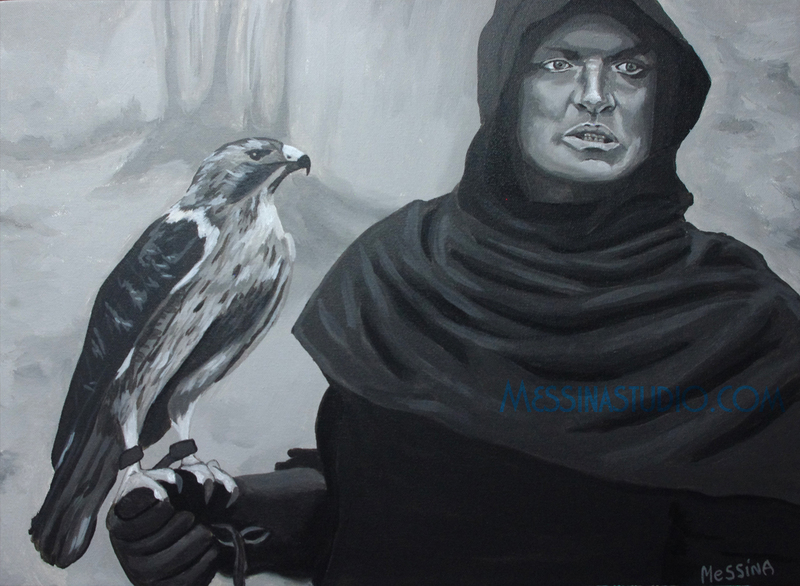 Working with My Hands: Ladyhawke painting finished - Titled "Cursed" on 18" x 24"
Ladyhawke painting finished - Titled "Cursed" on 18" x 24"
And it's done! This is the next in my latest series to fill my living room wall with 80's fantasy art. It's a painting of Rutger Hauer and of course his Ladyhawke - from the movie..Ladyhawke. I always love to paint birds and this hawk was fun. I've already started the next painting which is going to be yet another painting of Tim Curry from his role as Darkness from the movie Legend. I've actually done one already in the past as a commission for a friend of mine. You can see that painting here if you so choose.